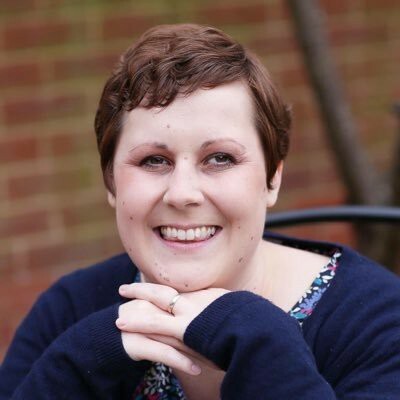 This weekend we have been met with the heart-wrenching news that doctor and more recently patient — Kate Granger — has passed away, age 34. At age 29 Kate was diagnosed with terminal cancer and told she had just over a year to live. But Kate fought on for another five incredible years, not wasting a single moment of her precious time. 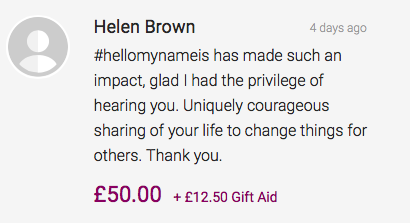 She started the #hellomynameis campaign, published two books and was awarded an MBE. 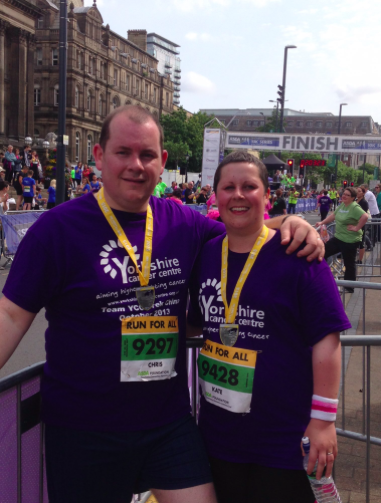 Her final wish was to raise £250k on JustGiving for the Yorkshire Cancer Centre, which she achieved on the 20th July 2016 - just three days before her death. Kate described herself as just ‘a typical Yorkshire lass’, with a passion for gardening, strawberries and cream and lazy Sunday mornings with no alarm clocks. Whether it was her campaigning for compassion in the NHS, stark honesty about living with cancer, or admirable stance of just getting on with it, Kate captured the hearts of so many and her legacy will continue to live on. Here are just some of the invaluable life lessons Kate Granger taught us. When Kate was diagnosed, she went from doctor to patient. The first thing she noticed as a cancer patient was some doctors failing to introduce themselves. 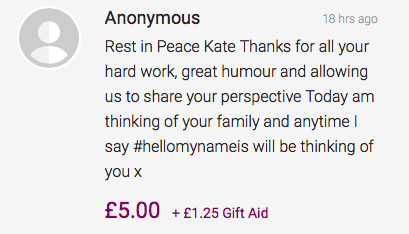 Kate did not want others to have the same experience, so she launched the #hellomynameis campaign. This promoted personalised and compassionate care, and has grown into a global movement. It wasn’t long until Kate had significantly improved the quality of patients lives in Britain, and eventually all over the world as 400,000 health workers in 90 organisations backed her campaign. Kate reminded us to be human, try and relate to one another, and in particular — communicate. When she was first diagnosed, it dawned on Kate that she had never rebelled — so she wrote a bucket list, which included plans to skydive and get a tattoo. We’re not sure if she ever went through with getting inked, but she most certainly faced her fear of heights by jumping out of a plane - with her family cheering from below. She also swam the length of the English channel and did a 13 mile trek in the Lake District. Not bad for an ‘ordinary lass from Yorkshire’. Kate and her husband Chris have set the bar high when it comes to romance. Throughout Kate’s journey, she never forgot to mention how important her partner is to her and how lucky she feels to have met her soulmate. After the diagnosis, the couple recreated their wedding day and renewed their vows. They even did their first ever date in Leeds all over again. The duo did absolutely everything together, including competing in fundraising events. Seeing Kate and Chris wine, dine and care for one another teaches us to never take our loved ones for granted, and to remember romance. The couple remained incredibly close and strong for the duration Kate’s illness, and managed to maintain an amazing sense of humour in the darkest of times. It reminds us all to reflect on how we treat our partners. The amount that Kate managed to achieve in five years is awe-inspiring to say the least. Her husband Chris said one way she managed to do what she did is by making short-term goals. By setting herself short and achievable goals, Kate achieved more than most could ever dream of. Her goals included learning a new language, taking city breaks in Europe, and re-living childhood favourites such as trips to the zoo or eating fish and chips by the seaside. 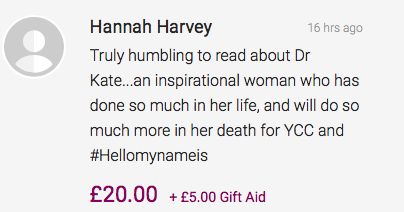 And somehow, in-between the daily goals, Kate also managed to accomplish some huge ones — such as raising a quarter of a million pounds! She inspired us all to use our time to achieve our goals, while remembering to take the time to take pleasure in the little things. Kate was never one to fear speaking her mind. She was a truth teller in a society which often doesn’t talk about taboos such as death and difficult days. Kate, didn’t ever sugarcoat her situation and refused to bend any truths about the sometimes pernicious days she’d suffered at the hands of the disease. This meant tweeting about the bad days, but also letting us know about the good ones and her daily accomplishments. Sometimes we could feel her wanting to give up hope, such as in 2015 following chemotherapy. Kate was going through an emotionally difficult time and admitted spending “a bit of time wallowing’. “I just got to this point where I felt ‘you know what? I can’t cope with it any more’. I did go through a ‘why us?’ phase.” — Kate, in a Guardian article. But it wasn’t long until she lifted herself back up by doing the smaller things she enjoyed such as band practice and campaign talks. Soon enough she was back to feeling like herself and returned to work. Seeing Kate speak so openly about her mental and physical health during her diagnosis not only changed perceptions of cancer patients, but encouraged others to speak and reach out.